“As we move forward through this Final Four, we only have one goal, and that’s to bring home a national championship trophy,” Hillsman said. Syracuse alumni Lt. Gov. Kathy Hochul ’80, County Executive Joanie Mahoney ’87, L’90, and Mayor Stephanie Miner ’92 all spoke to congratulate both teams. Coach Boeheim then took the stage and exhibited a bit of his trademark dry humor. “The one thing about these Newhouse graduates: they learn how to talk and they never stop,” Boeheim said. 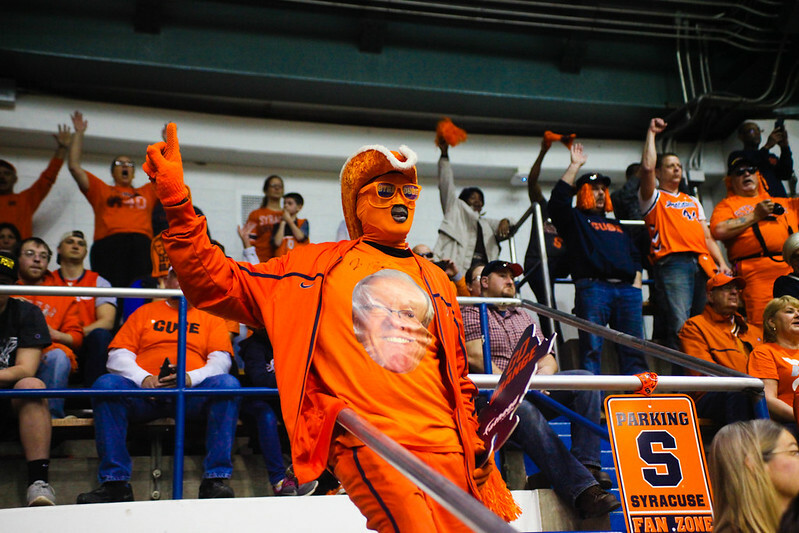 Boeheim went on to show his appreciation for the constant support his team received through what has been a tumultuous season.